Coastal Living at its best! 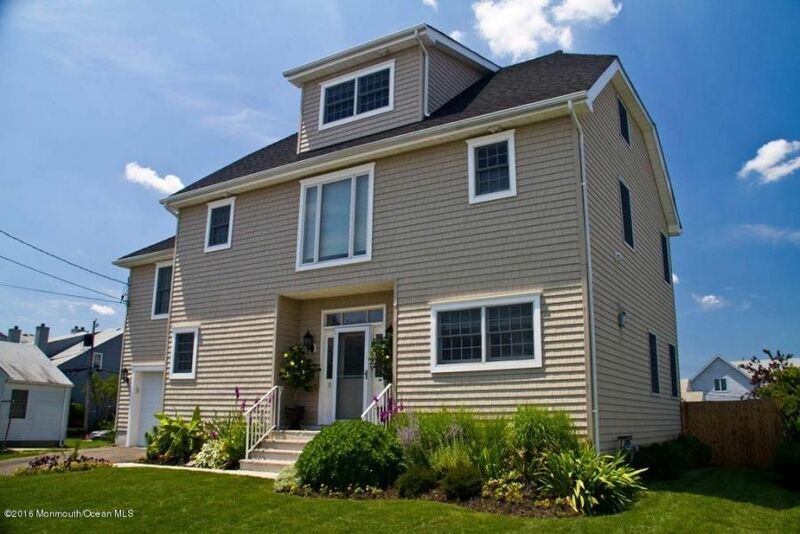 Custom built shore home with views of the Shrewsbury River plus steps to secluded beaches. This impeccable home boasts an open floor plan with gourmet kitchen featuring Jenn Air, Thermador, and Bosch appliances, Kraftmaid cabinets and silestone countertops opening to great room with gas fireplace, built-ins and large dining area. Sliders to patio. Hardwood floors throughout. Master suite with balcony, walk-in closet, and luxurious master bath. Professionally landscaped with a fully fenced spacious backyard with paver patio. 3 balconies with water views! This magnificent home offers a rare opportunity for those seeking the perfect place to entertain and take advantage of shore living. This location is only minutes to high speed ferry and train service to NYC.